The cultural and intellectual achievements of Old World civilizations-ancient Greece or Egypt, for instance-can be glimpsed in present-day societies the world over. Unfortunately, accomplishments of the ancient civilizations of the New World have often been obscured by the colonial forces that eventually eradicated much of their populations. One glance at the imposing architecture left behind by t… he Inca or the mathematical strides made by the Maya reveals that the early peoples of the Americas were equally as enterprising as their Old World counterparts. 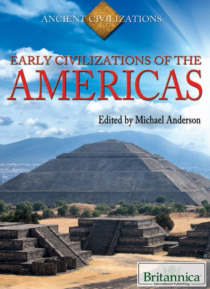 This exciting volume introduces readers to the magnificent kingdoms and empires of early South, Middle, and North America and the rich heritage of the peoples who made them.